Welcome to the Stainbeck Arts Club website. We are a friendly local arts club to which everyone is welcome. We meet on the second and fourth Tuesday of each month, usually from 2pm-4pm. 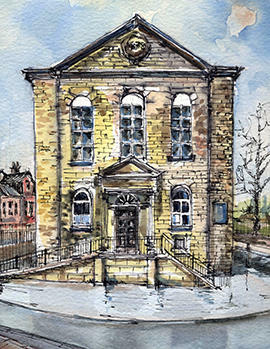 Meetings are held in the Meeting Room, Methodist Community Centre, Town Street, Chapel Allerton, Leeds, LS7 4NB. You can see examples of our artwork in our Members’ Gallery. Click here to see our syllabus for 2019.